DataSight is a client-server solution. The software (the ‘client’ side) is installed on a user’s computer and connects to Microsoft SQL server databases (the ‘server’ side) located within a network (LAN or WAN) or via the internet. DataSight is traditionally sold as a client/server application where Microsoft SQL Server is installed on a server farm that is supported by the appropriate IT infrastructure in a controlled environment. The servers are supported by suitably qualified IT professionals who may install and maintain the following DataSight components on their network servers. DataSight is now also offered as a Cloud solution, where you can use DataSight and all of its functionalities without installing the client on a local computer or allocating an in-house MS SQL server. You instead subscribe to a service, and access DataSight via the internet. This reduces the cost of in-house IT resources while our systems maintain your data. 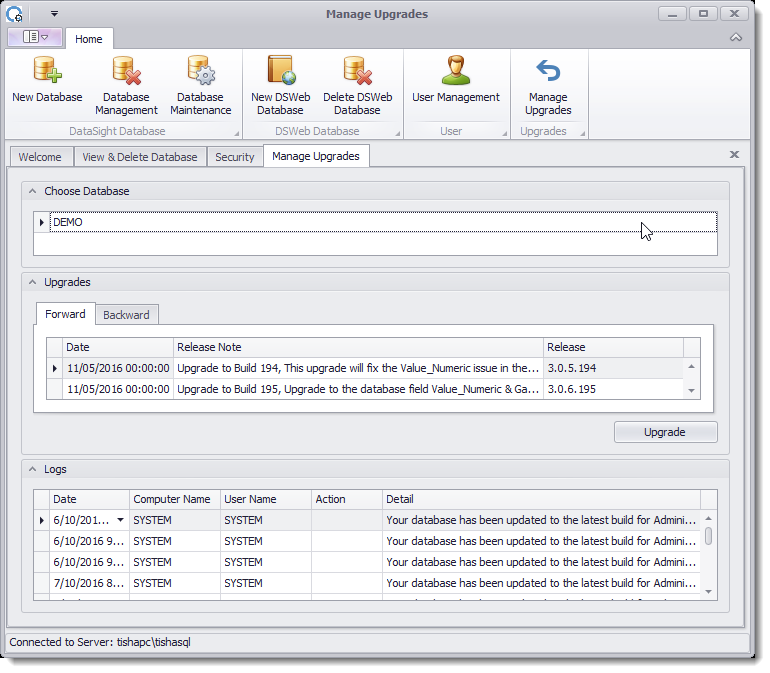 DataSight Administrator is a standalone program which provides access to the SQL server for database administrators to manage DataSight databases. 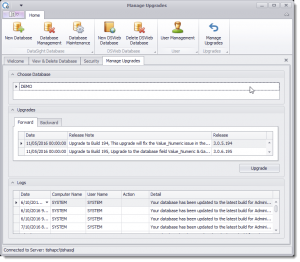 The DataSight Administrator console is provided for the management of common database management functions, such as creating and deleting DataSight databases, carrying out backups and consistency checks and for managing DataSight users and security groups. You should have Microsoft SQL Server Management Studio or similar to provide all the tools required to manage your SQL Server instance and databases. However, DataSight Administrator is a small application that will also assist with some basic database tools and will help you get started with your first DataSight database. It is recommended that the person who has the IT Administrator privileges in your organisation, and who administers your MS SQL Server, installs this DataSight component. DataSight Administrator is provided at no additional cost with all DataSight user license purchases. DataSight’s Service Manager enables you to perform automated DataSight tasks on your computer. 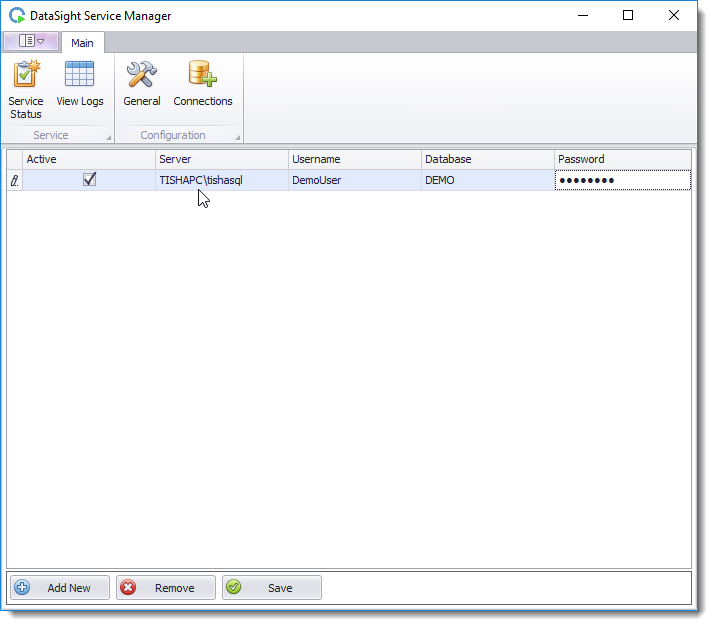 To schedule your DataSight tasks, DataSight Service Manager must also be installed. 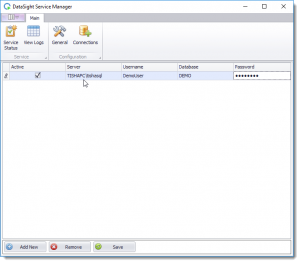 DataSight Service Manager is provided at no additional cost with all DataSight user license purchases. 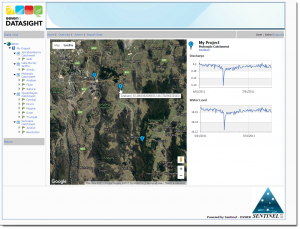 Securely access and distribute your DataSight data and reports via DSWEB through a web browser. DSWeb is an optional module that is purchased separately.